Some souvenir shops still sell disposable waterproof cameras with film. The optical quality is not the best, and the exposure control is simple, if it exists at all. But the biggest limitation is that the number of pictures is limited to the length of the film, typically 26. You must also pay for processing of the film. The pictures can then be printed or converted to electronic format. A much better solution is to buy a waterproof digital camera. You can get a good compact camera from USD 250. 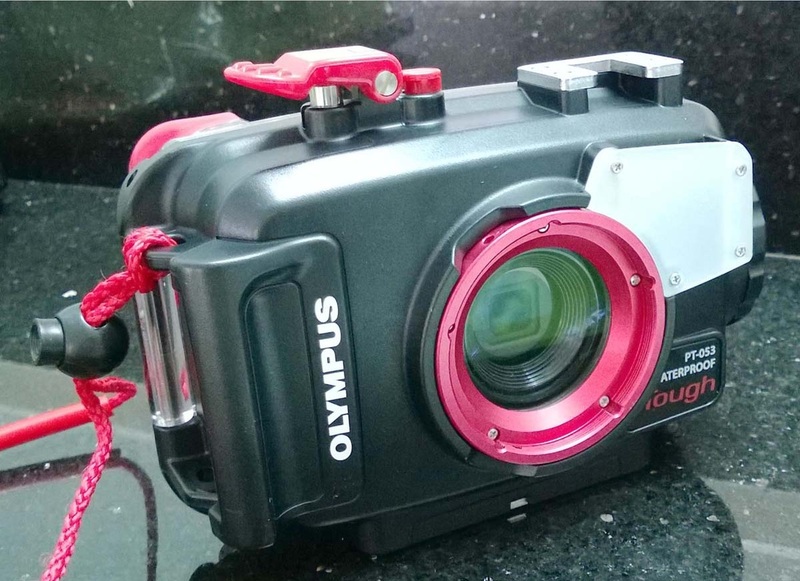 My camera is an Olympus Tough TG-1 with an underwater house. It was regarded to be one of the best cameras in 2012. 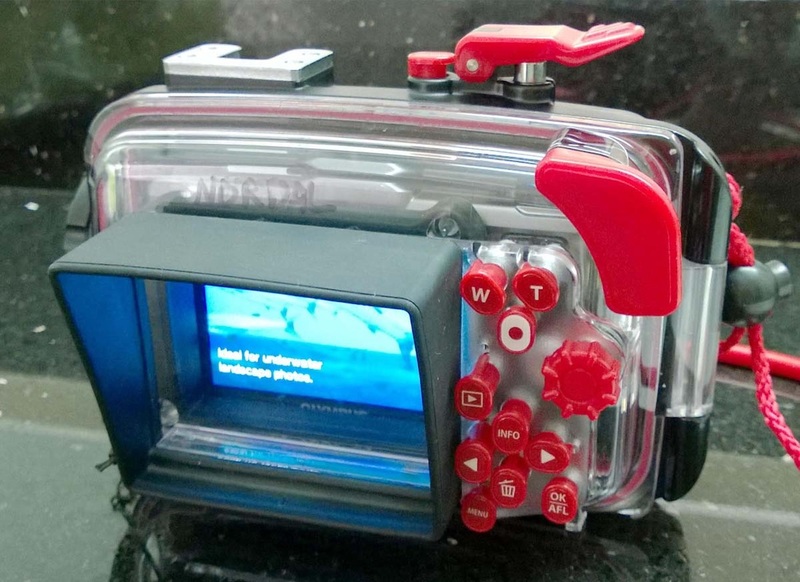 All underwater pictures on this website are taken with this camera. Every year are newer cameras coming to the market. A search on internet will tell you which camera models you should choose from. Best results are achieved with SLR cameras, which are used by serious amateurs and professionals. But they belong to a league beyond the intention with this website. Underwater house for compact camera. The white shield to the right is a diffuser for the flash. The large buttons on the backside of the underwater house allows for easy operation even with gloves.